562-929-8400Open 24 hrs. a day - 365 days a year. DME / Medical Supply Co. Please call A-1 Home Care at (626) 287-0250 to allow us the privilege of assisting you. At A-1 Home Care we can appreciate that your homecare needs can change without notice. Do you have an upcoming operation that requires short-term Post Surgery Care? Has your aging loved one recently been diagnosed with Early Onset Alzheimer’s, Dementia, or Diabetes and need the assistance of a 24 hour care, hourly, overnight or live-in Home Care Professional? Can you benefit from a one-time Travel Companion? A-1 Home Care is prepared to provide quality care that adjusts to meet your needs. For all of your needs, great and small, we can help. Would you benefit from assistance with any of the following? 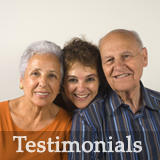 Let our award-winning, Insured, Licensed, Bonded home assistance agency assist you. Call us at (626) 287-0250. A-1 Home Care is committed to providing CPR-Certified, First-Aid trained, and Malpractice/ Liability Insured Home Healthcare Nurses, Home Health Caregivers and Nonmedical Home Care Services in the San Gabriel Valley and Los Angeles County areas. Because of our thorough recruiting and screening processes we are, and will continue to be the best care giving agency in LA County. Call (626) 287-0250 to find out more information about our Homecare Services. A-1 Home Care, A-1 Caregiver Agency & A-1 Nannies is a Licensed, Bonded, Insured NON-MEDICAL HOME CARE agency providing part time, full time, live in and live out services 24 hours a day, 7 days a week to best meet your needs. We are the Home Care Provider of choice by local doctors, social workers and case managers.Serving Pasadena, Altadena, San Gabriel, San Marino, Alhambra, Monterey Park, Eagle Rock, La Canada, South Pasadena and other cities of Los Angeles County. Our service is about care, compassion and dedication and our rates are extremely affordable. These services include senior caregiver, elderly home care, respite care, nursing home & hospice / hospital sitters, care for terminally ill, disabled, handicapped & developmentally challenged. Additionally, we also provide nannies, babysitters, homemakers and mother's helpers for all of your child care needs. A-1 Domestic's company profile report from The Better Business Bureau. See what our others are saying about A-1 Domestic.